The Mainz Carnival (Mainzer Fastnacht, „Määnzer Fassenacht“ or „Meenzer Fassenacht“) is a months-long city-wide carnival celebration in Mainz, Germany that traditionally begins on 11th of November but culminates in the days before Ash Wednesday in the spring. 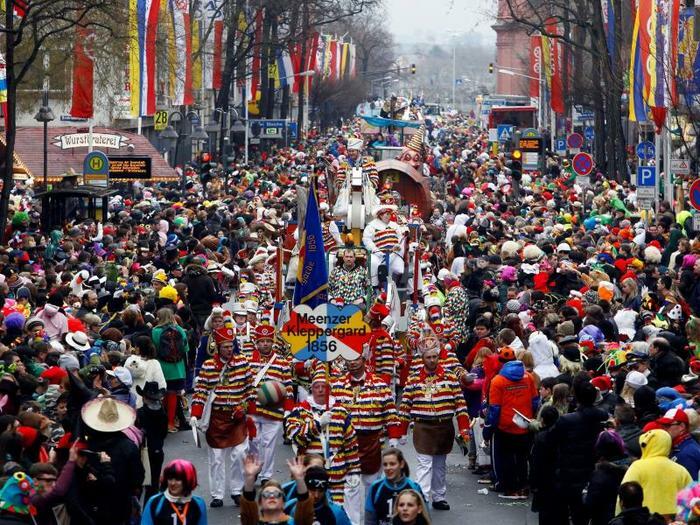 It is one of the largest carnival events in Germany and, along with the Cologne and Düsseldorfer carnivals, Mainz is one of the three cities prominent in the rhenish carnival tradition. Aside from the celebrations, parades, and jollity which are typical of carnival traditions in many countries, the Mainz carnival has an unusual emphasis on political and literary humor and commentary. Season Opening on November 11th on Schillerplatz Before the actual campaign starts, carnival revellers meet at a typical date: On 11th of November at 11.11. a.m. the 5th season is traditionally proclaimed from the balkony of the "Osteiner Hof". Rose Monday Parade The climax of each campaign is the Rosenmontag parade at 11.11 a.m. with 9,500 participants and 165 floats. On this special day everyone is on the move and the city centre turns into a colourful sea. The Rosenmontag parade carves its way of seven kilometres through the celebrating croud with political floats, the huge figural heads (Schwellköpp), music floats, flag bearers and guards. 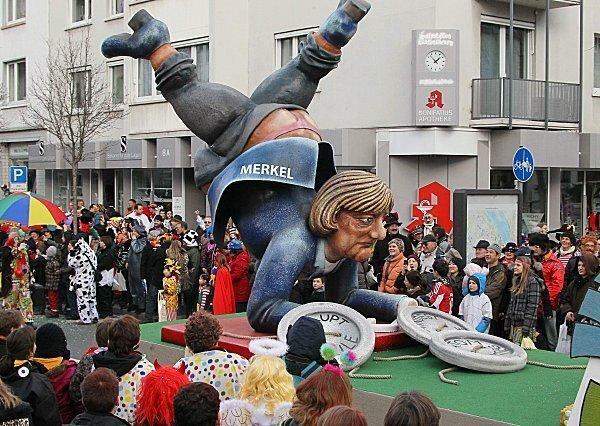 Political commentary and caricature have become a notable part of the Mainz carnival, and especially of its parades. The carnival of Mainz has its epicenter in the streets where the "Rosenmontag" takes place and in the "Saalfastnacht" theater where the traditional "fastnacht"
The initiative for creating the first organization may be traced back to the merchant Nicolaus Krieger. His primary objective was that the rather disgustingly vulgar people's carnival was transformed by organized activities to an orderly event, generating revenue for the innkeepers and attracting tourists. 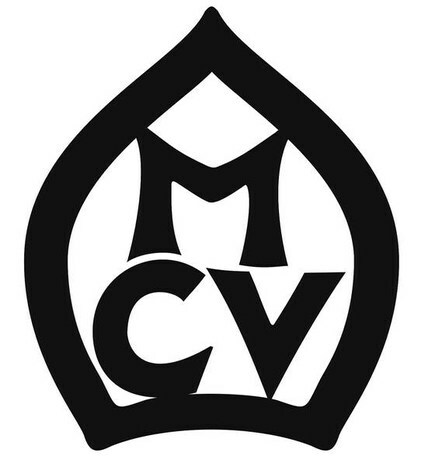 January 19, 1838 is the date of foundation of the Mainzer Carneval-Verein (Mainz carnival association). This first carnival association of the town took over responsibilities as an umbrella organization and is still organizing the Mainzer Rosenmontagszug today. The association's first act was to plan a ‘carnival Monday parade’, which took place on February 26, 1838. The main features of the Mainzer Fastnacht have not changed substantially since 1838. Before the actual campaign starts, carnival revellers meet at a typical date: On 11th of November at 11.11. a.